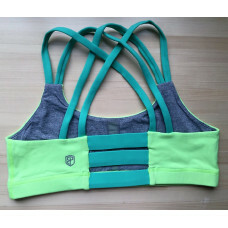 Brand new Fearless1 Bra! We took everything you love about our Vitality Bra and gave it a little twist! Like our Vitality Bra, the Fearless1 Bra offers the perfect balance between softness and elasticity, They were designed to fit the everyday athlete and offer maximum comfort, even for a more muscular feminine build. 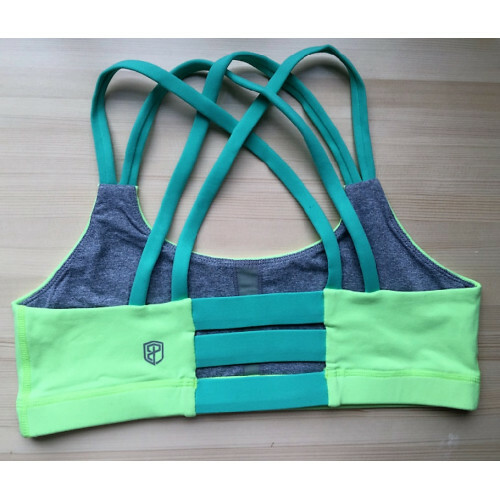 The Fearless1 Bra’s custom nylon/lycra fabric blend allows this bra to move with you during your toughest workouts, all while bringing fashion and style right along with it! They also come with removable pad inserts for maximum support. If you are on the edge of two sizes and have a bigger bust (C or Above) we would highly recommend going up a size!